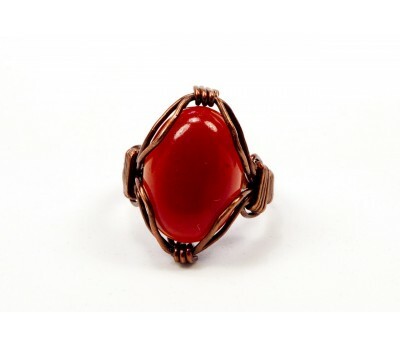 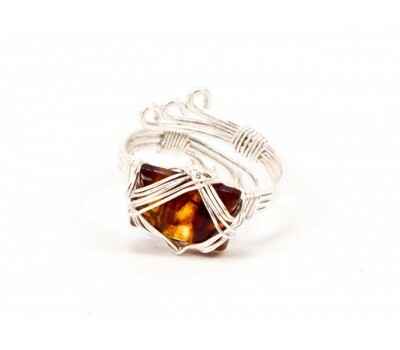 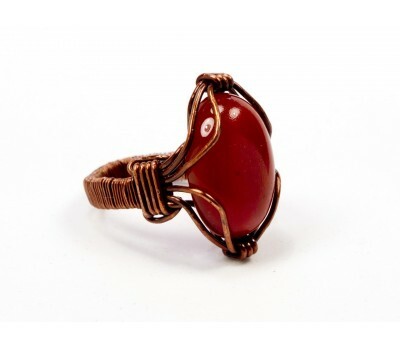 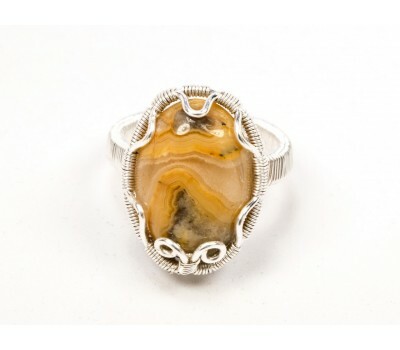 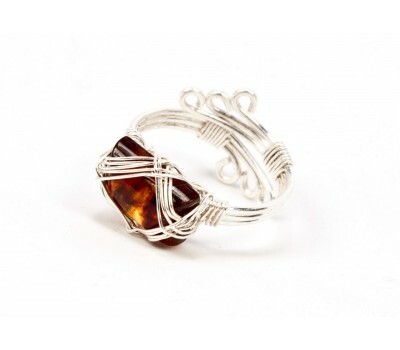 Tiger's eye is a most ancient talisman stone, mysterious and powerful. 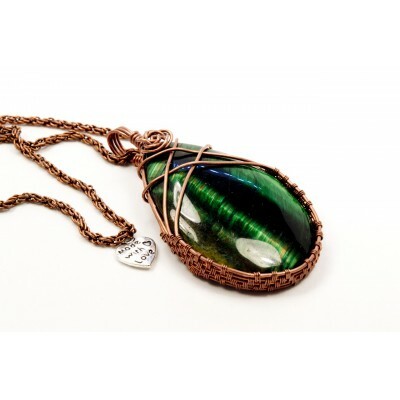 It was chosen by the Egyptians for the eyes in their deity statues to express divine vision, and was believed to provide the protection of the sun and earth combined. 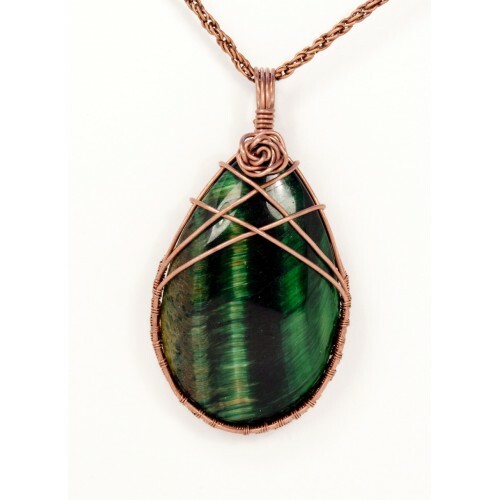 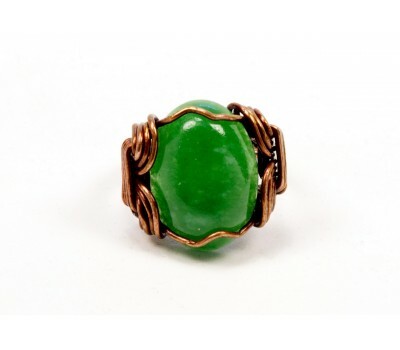 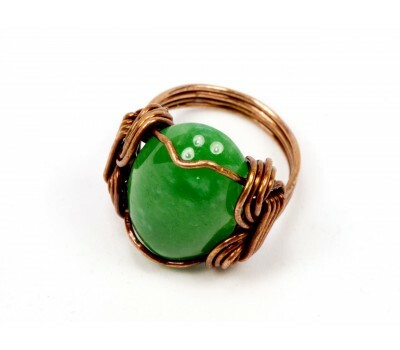 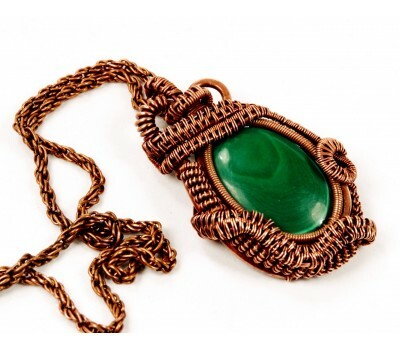 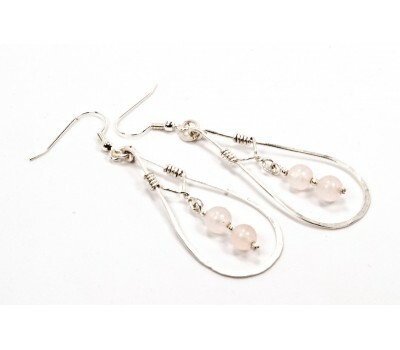 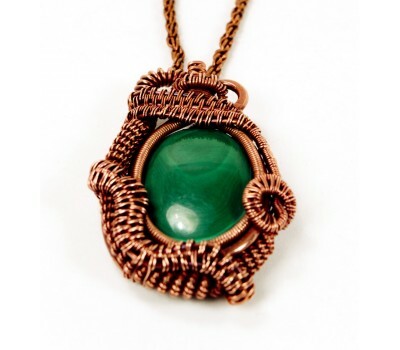 Green tiger's eye portrays courage, integrity and right use of power. 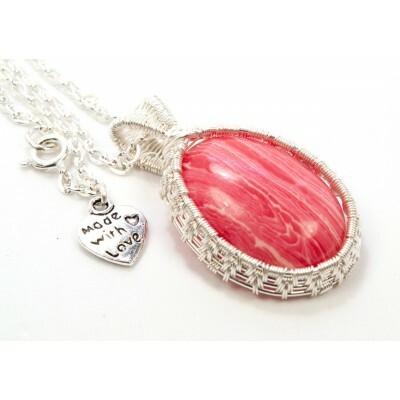 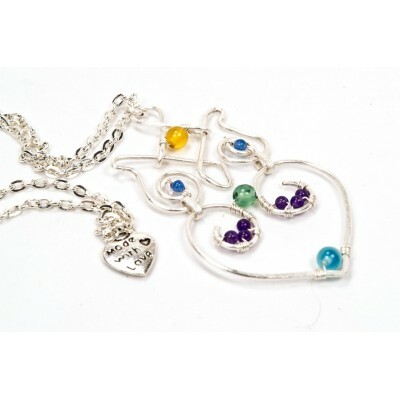 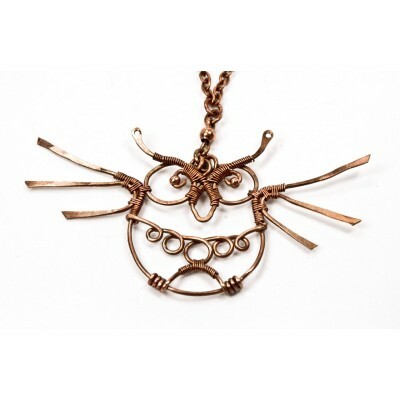 This necklace is a talisman for bringing luck, wealth and good fortune. 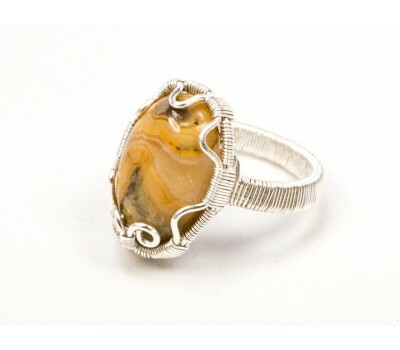 The beautiful landscape-like pattern of the tiger's eye combined with the powers of the stone itself, provide a powerful source of gentle, soft vibrations that promote peace and calm, even in the times of great changes and disturbances. 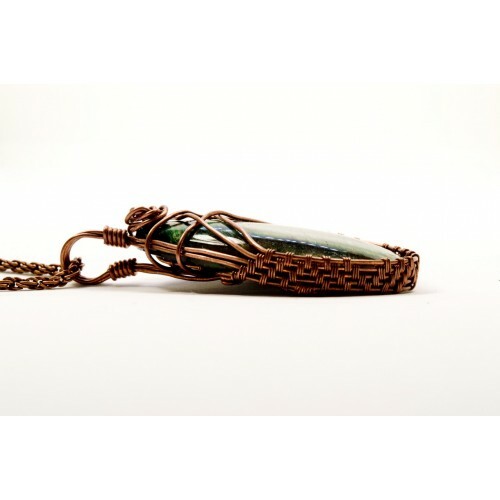 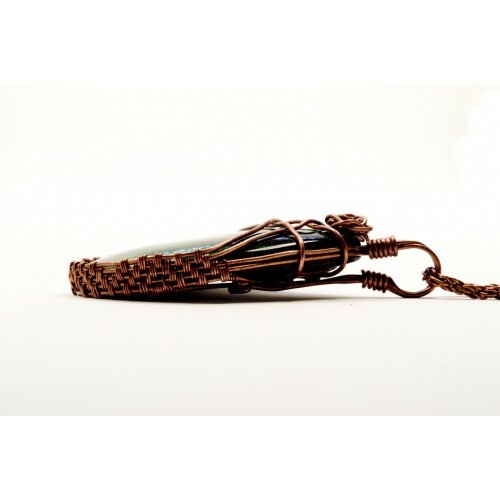 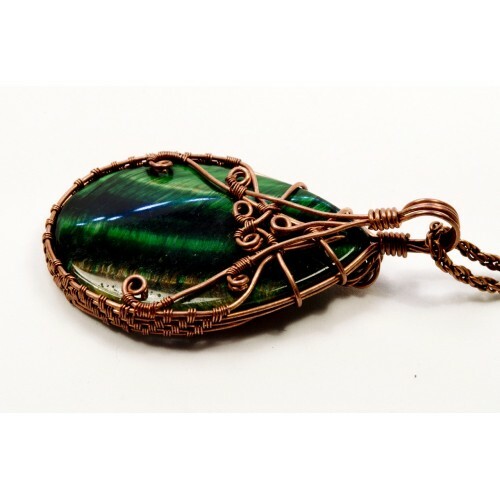 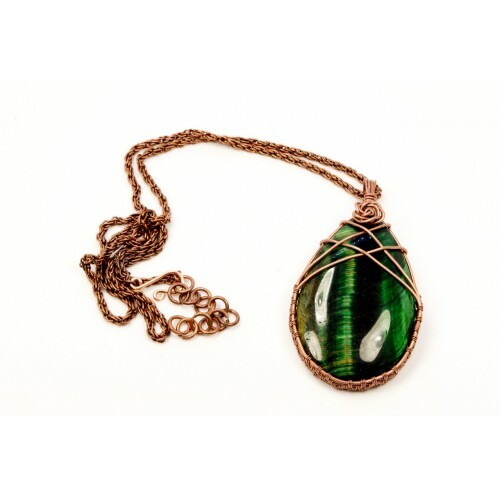 The tiger's eye is wrapped in oxidized copper, sold with copper chain.